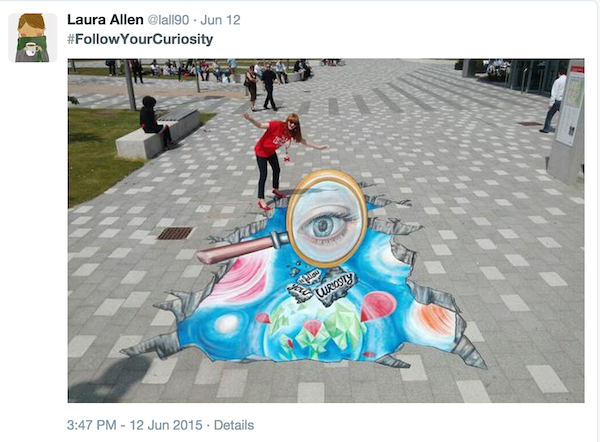 Hosting one of the biggest UCAS events, Staffs uni wanted to make sure it stood out as an innovative institution. Hundreds of students piled onto campus hoping to talk to university representatives from all over the UK. 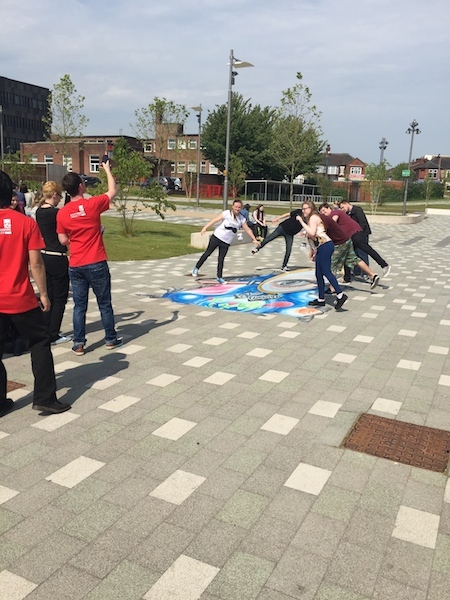 Whilst exploring the sunny Stoke campus, students were able to take advantage of a photo opportunity with a bespoke piece of 3D Street Art which our artists at Street Advertising Services lovingly created. 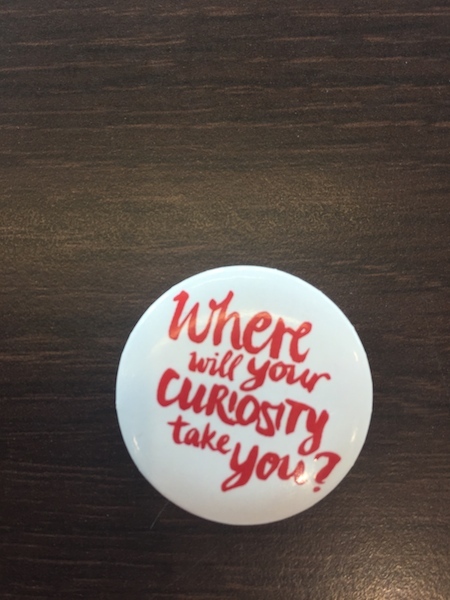 The art promoted the hashtag #FollowYourCuriosity which is exactly what students would be doing if they enrolled onto one of Staffordshire University’s many courses. 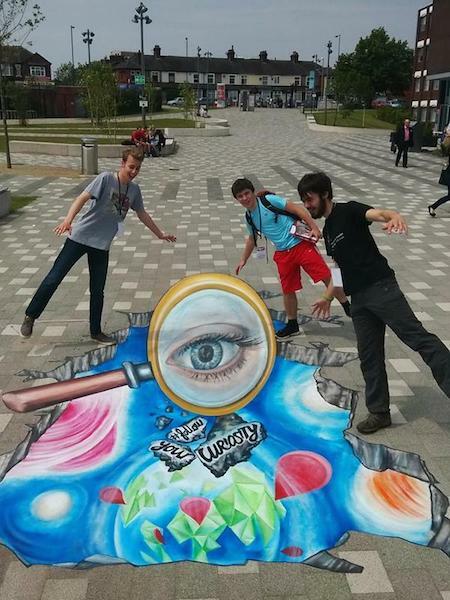 This medium is highly sharable and enabled Staffs Uni brand ambassadors to gather data from hundreds of students in exchange for a photo op on the intriguing 3D Street Art. If you are interested in starting conversation about your brand then get in touch now with our team now.